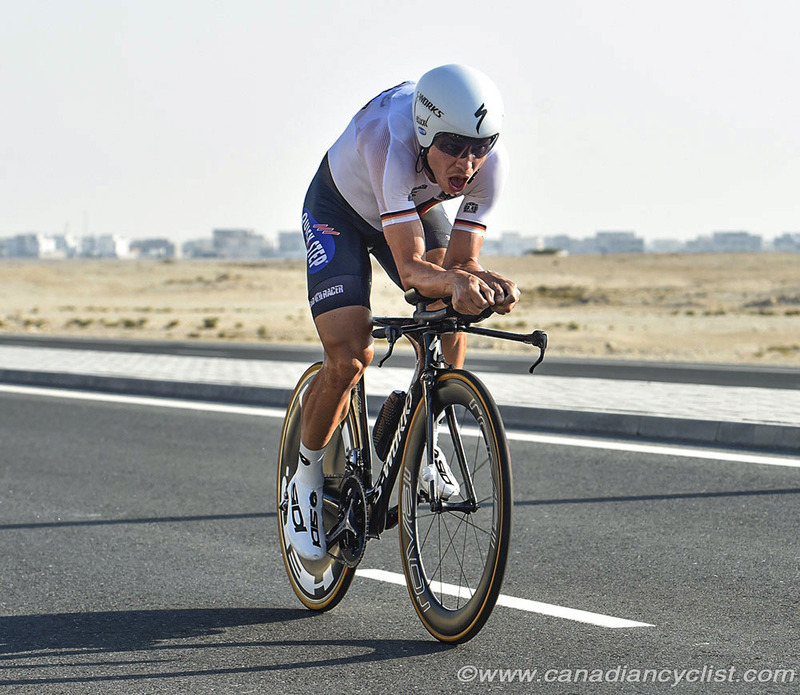 Hugo Houle was the top Canadian finisher in the Elite Men's time trial on Wednesday at the Road World Championships in Doha, Qatar, finishing inside the top-30. Canadian champion Ryan Roth finished four seconds behind Houle, just outside the top-30. Tony Martin of Germany won the world title, his fourth in the time trial. 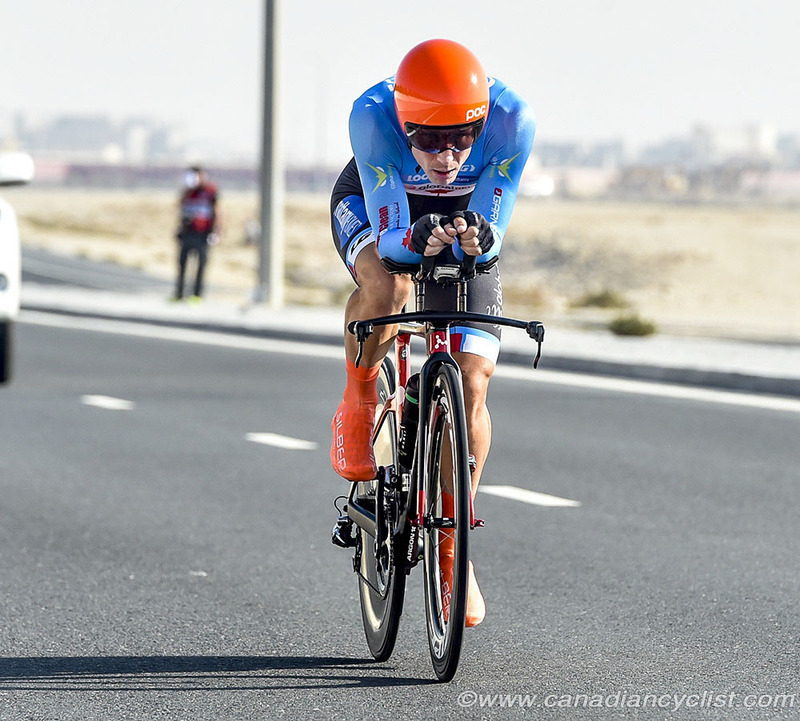 The 40 kilometre race against the clock started north of Doha, with riders facing punishing temperatures in the high 30s Celcius, plus wind and humidity. Houle paced himself for the first third of the race, sitting in 38th place at the first time split, but then ramped up his efforts in the second half of the race to finished 29th, with a time of 48 minutes flat. "I managed the heat pretty well," said Houle. "I rode the Team Time Trial [last Sunday], and that gave me a lot of information. In the TTT I overheated, so today I tried to stay as cool as possible before the start. I didn't go out too fast, so that I could finish strong. Honestly, I did a good ride and I don't think I could have done any better." Roth had a quicker start, with the 17th fastest split for the middle portion of the race, but faded in the final ten kilometres, to finish in 31st place. "I felt like I managed the first 25K pretty well," said Roth. "I felt underpaced and that I had some gas left to accelerate at the end. I went from that state to hanging on for dear life pretty quickly. I didn't blow up too badly and just held my pace as best I could. I'm fairly satisfied considering the conditions." 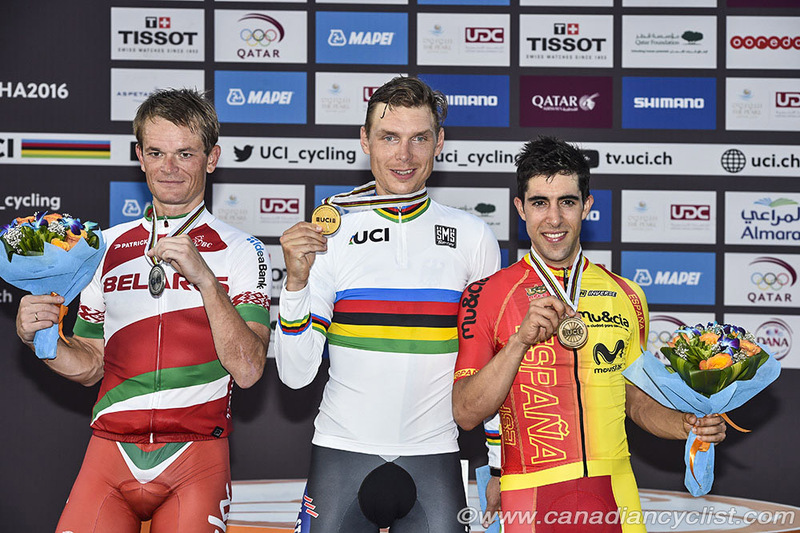 Racing continues on Thursday with the first of the road races, the Under-23 men. Canada has five entrants in the road race - Alec Cowan, David Drouin, Sean MacKinnon, Nicolas Masbourian and Benjamin Perry.